At Infinity, we embrace integrity in all aspects of our work, which means that we are actively engaged in the pursuit of sustainable design thinking, responsible material sourcing, equitable vendor relationships, and green construction management. 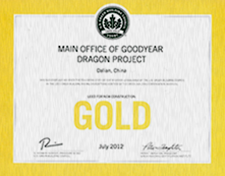 We actively invest in wide-ranging R&D to unearth new materials and approaches that measurably reduce the impact that our projects have on the environment. 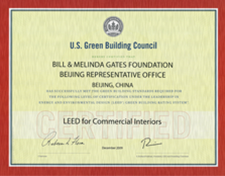 We don’t just call ourselves lean and green; we insist on greater transparency and visibility throughout all phases of the design and construction process, and we are proud to be the de facto standard bearers for advancing green design and green building in China and the Asia-Pacific region. We design and construct great edifices that contribute to the health and well-being of large groups of people. However, the construction and ongoing use of these facilities can also have an enormous impact on the world around us. Because of this, we are committed to upholding stringent green design, construction, and management standards in all aspects of our work, striving to minimize the impact that we have on the environment. In order to achieve this, we employ a three-pronged approach to sustainability, aimed at achieving six different sustainability objectives. Infinity will abide by clearly defined policies and procedures to minimize the release of pollutants and harmful particulates into the air. Infinity will use sustainable resources and materials wherever possible, while adopting construction methods that promote their economic use. Infinity will reduce waste as much as possible, and recycle waste wherever possible. All employees will undergo regular training on environmental issues and their relevance to the workplace in order to enhance awareness and effect positive behavioral change. These training sessions will be accompanied by regularly updated policies and procedures. 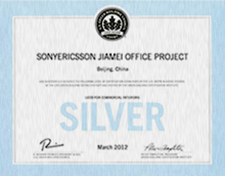 We are committed to driving the adoption of sustainable construction practices. As part of this effort, we regularly train our staff in the theory and practice of green building, going beyond the standards set forth in the LEED rating system. We believe that green buildings are not only good for the environment, they also provide immediate and long-term economic benefits for developers, building owners, and occupants. 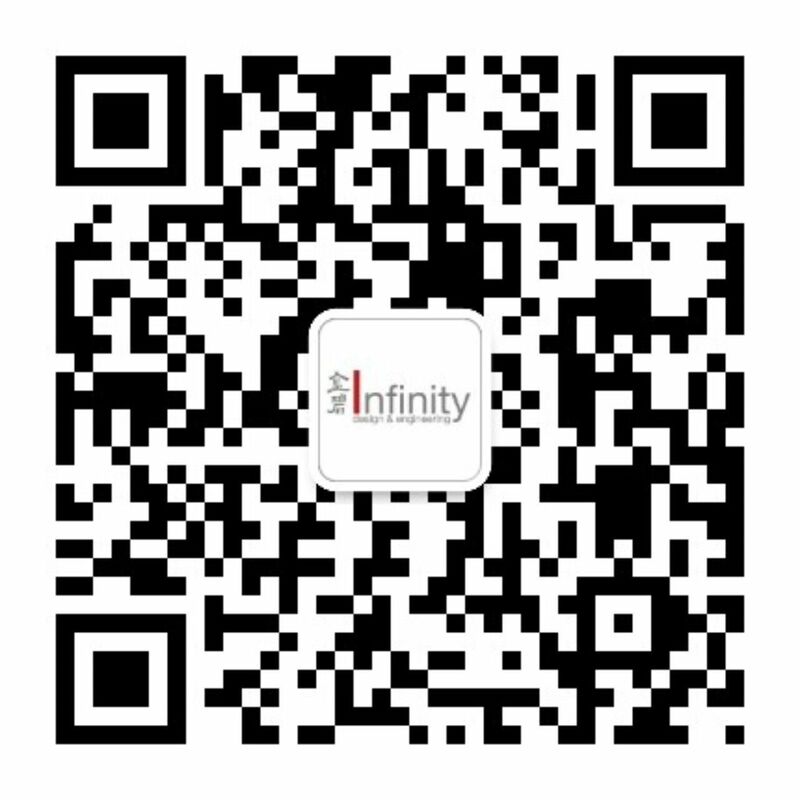 The following is a breakdown of Infinity’s six sustainability objectives. We aim to provide design and construction solutions that deliver to our clients’ expectations for environmental friendliness and value. Our approach to sustainable design must incorporate the use of natural light, air conditioning, building materials, and the responsible management of our working environments. We must also use our millwork factory to ensure a clean and healthy working environment for our workers and clients. The indoor environmental quality of a building has a significant impact on the health, comfort, and productivity of its occupants. Among other attributes, our sustainable buildings must maximize day lighting, have appropriate ventilation and moisture control, and avoid the use of materials with high-VOC emissions. With the long-term goal of becoming climate neutral, we must reduce energy consumption, increase energy efficiency, and use renewable energy alternatives. To minimize harmful emissions associated with the construction and procurement of Infinity’s products and services, we must continually improve and evaluate our network of locally sourced products. We must also account for reduced material transportation and facilitate the use of public transportation as much as possible during the planning stage of construction. We must eliminate waste and emissions associated with the production of products and services by using materials more efficiently, recycling whenever possible, and providing alternative uses for waste material created during the building construction and occupation processes. We must minimize the impact that our construction sites have on their surrounding environments, including the limitation of light pollution, water waste, water pollution, and dependence on individual-use vehicles. Wherever possible, we must strive to reintroduce green space into the environment after construction. Throughout the design and construction process, we work closely with our clients to develop practical strategies that support their LEED (Leadership in Energy & Environmental Design) certification goals. 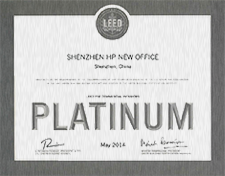 Infinity has successfully helped our clients design and build projects that receive Certified, Silver, Gold, and Platinum levels of LEED certification.